Khalil’s: Brighton’s number one letting agent. Trust, service and knowledge: delivered with a smile. Imagine a property that pays you rent even when it is empty. You actually already own one: find out how to make it happen. Looking for a house or flat to rent in Brighton? Find your perfect pad here. From tenant finding to fully managed services: find out how Khalil’s can make life easier for landlords. We love students! And we love student landlords too! Find out why Brighton is perfect for student lets. As a relatively new landlady in the busy Brighton market I definitely made some mistakes before I found Khalil Properties! Since I started working with them I haven't had any worries or problems. Their service has been professional and thorough. I have benefited hugely from their experience, and advice. More than that, I really enjoy working with them. In a changing market, it is really reassuring to know that I have such a supportive team behind me that I can trust. Jodie has been very helpful and quick to respond. I felt able to approach her with any query I had about my flat and feel confident this assistance will be continued throughout the term of my contract. They have been helping me a lot from the fist moment. Lovely people and always very helpful. I couldn,t be happier. My experience with Khalil has been positive, Jodie and Bryony are both quick and helpful. They knew the answers to my queries. Knowledgeable and helpful. Bryony, the agent with whom we dealt with was not only exceptional professional but went over & above what you would expect from an agent to assist us. Bryony & Ahmed provide a great service having let my property for two consecutive years and have handled all management related issues efficiently and cost effectively. Highly recommended. I was very happy moving into this property that's all from efforts arranged to my request with negotiation carry out by professional staffs (Khalil) . Even after I moved in, they were always flexible to answer my requests and excellent communication I lived at this property for years and half had my son there and they help me extremely when i went through difficulties with my local council. 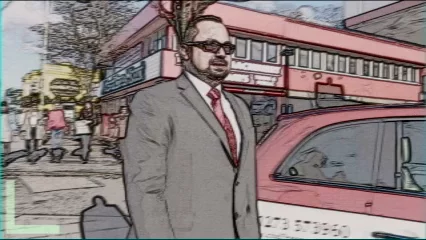 From personal experience Khalil is very professional and reliable agent that I can recommend in Brighton. I have lived in Brighton for 15 years and used most of the other estate agents. Keeping communication between tenants and agent is paramount which this agent practice very well. GOT A PROBLEM OR REPAIR TO REPORT?